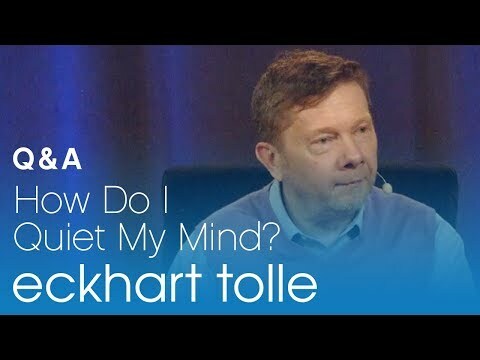 Eckhart Tolle: Sometimes it’s not so easy to tell. One criterion you can use is to know, if there is any negativity involved, anger, resentment, irritation, then Ego is present there. If there is no negativity but there is an underlying field of peace, then it arises from a deeper place that is not the Ego. For example, you may be in a situation, and you may feel that suddenly the right thing to do is to leave the situation – whether it’s a relationship, or a place, or a job, whatever it is – you can direct attention to the feeling to see where it’s coming from. Is there any reactivity, or anger in the essential part of that feeling? Or is there just a deep knowing that this is what you have to do, and you do it? There’s a peace that comes with that. Peace can certainly mean that you take action. It’s a very different energy field out of which this energy flows than “reactive” action which is always associated with Ego. 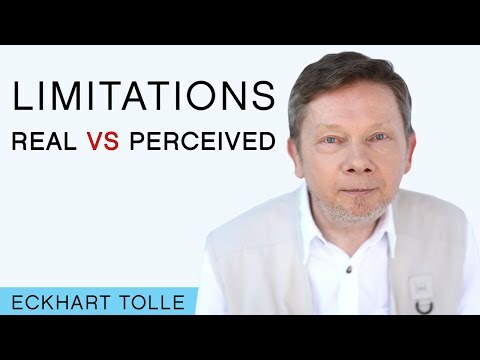 You need a certain amount of presence to know whether there is negativity inside you at any given time, or whether the feeling that arises comes from a deep knowing that “This is what I have to do”. Negativity is the key, knowing whether or not that is present in you. You need to be present to know whether it’s there or not. If you are identified with negativity, then you won’t even know that there is negativity. To the Ego, a negative feeling is something good. The Ego loves to be angry. It strengthens itself with that. If there is absolutely no awareness, then you won’t even know that you’re in a negative state. And then there’s nothing you can do, you need to wake up first so that you can see “What state am I in right now?” Then the Ego cannot even recognize itself. For the Ego to be recognized, the awareness needs to have awakened. Then you can observe yourself. The witness, the observing presence needs to be there. Once that’s there, you can recognize negativity, and then you’ll know that’s the Ego. Then the Ego is no longer totally dominating you, and you don’t necessarily have to act on it. You can then have a feeling of anger without acting on it, and simply allowing that feeling to be there, and observing it, how it arises, and how it passes away. You don’t have to obey what it tells you to do, you don’t have to follow every thought that arises out of that feeling. Vigilance is required for you to know where a feeling comes from. Is it generated by a thought in your head? Then it’s Ego. That’s a helpful little hint, is it a feeling that is generated by some story I am telling myself about my life, about other people, about a situation? Or is it a deeper realization of what is needed in a situation? Whatever it is, the key factor is the witnessing presence inside you. The witnessing presence is the only thing from which the Ego can be recognized. This has come so timely it's almost spooky!